For this look, I decided to play with analogous colors - yellow, green, and blue. 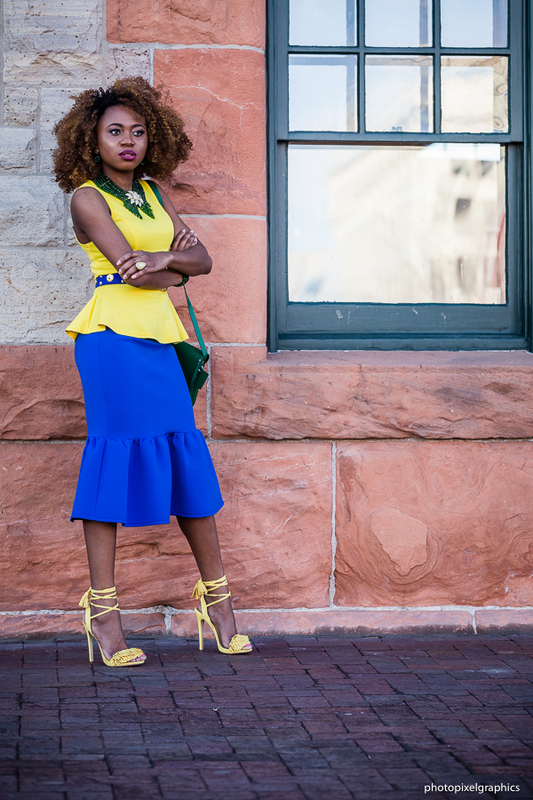 I wore a bright blue peplum midi skirt and a yellow sleeveless peplum top. Fringe sandals are hot right now so I scored this yellow pair then I added a green satchel bag and necklace to tie the look together. Mixing old and new favorites and stepping into spring like, "hell yeah!" Recent looks by Louisa M.